Detailing the physical features, habits, territorial reach and other identifying qualities of the Tarantula Hawk. The Tarantula Hawk is a parasitic wasp that uses spiders to feed its young in a macabre scene one might expect in a horror story. 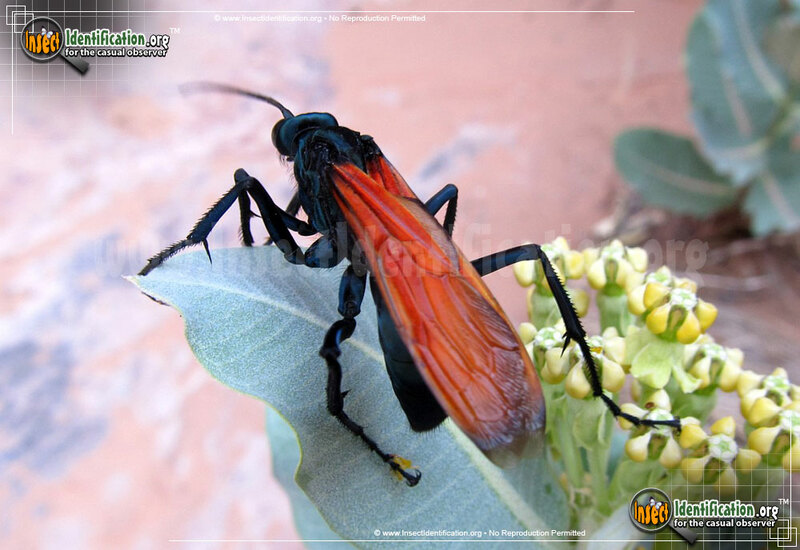 Adult Tarantula Hawks feed primarily on nectar, but females actively hunt tarantulas for more nefarious reasons. 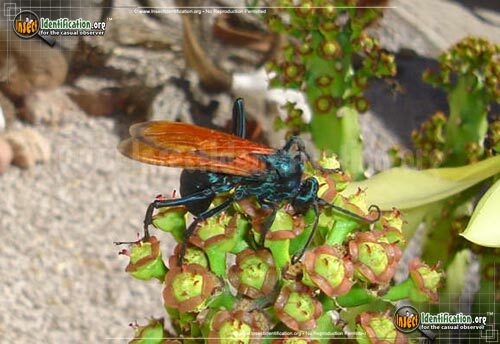 Tarantula Hawks can deliver a sting that is very painful to people, but downright paralyzing to tarantulas. 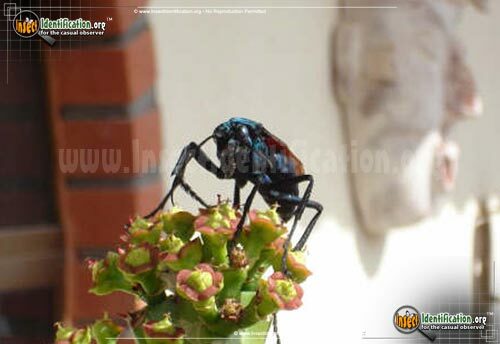 Once paralyzed, the helpless tarantula is brought back to the Tarantula Hawk's burrow. To add more agony to the fate of the unfortunate tarantula, it is usually buried alive (still paralyzed) with some Tarantula Hawk wasp eggs. The newly hatched larvae immediately begin to feed on the living tarantula until it is consumed. 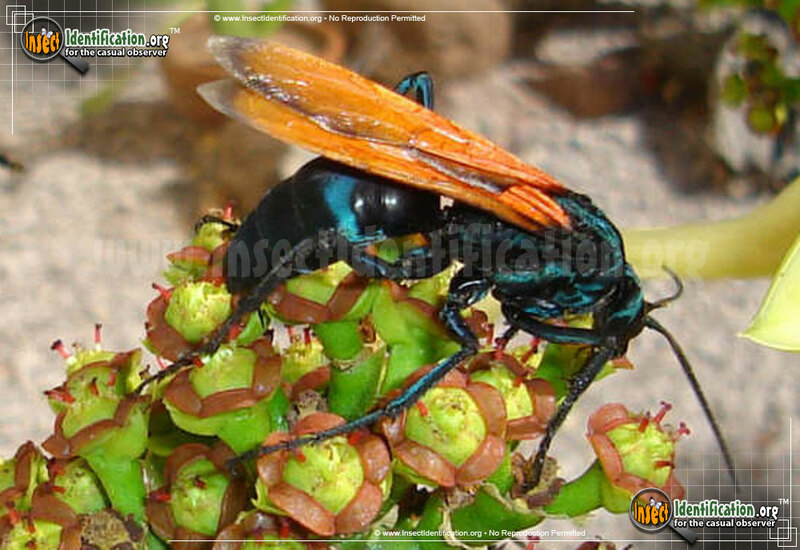 Tarantula Hawks take on many shades of black like blue-black and purple-black, but the orange wings always contrast with their dark bodies, making it easier to identify them. 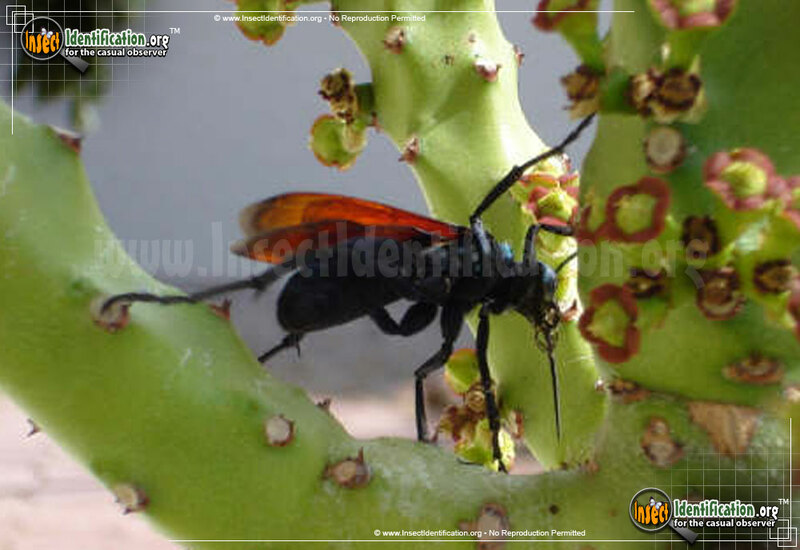 Male and female Tarantula Hawks vary in subtle ways. Male antennae are straight and their abdomens are segmented into 7 sections. Female antennae are curved and their abdomens have only 6 segments. 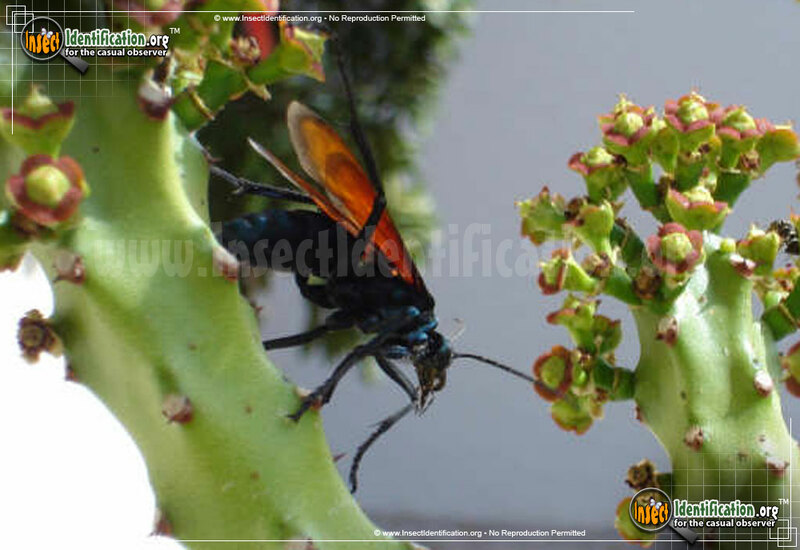 This species of wasp is found in the American Southwest and Mexico.